WHAT: Moe’s Southwest Grill of Fayetteville, NC is offering a free side of queso with the purchase of any entrée as well as 99 cent kids’ meals throughout its Customer Appreciation Summer promotion. Like always, every meal is served with free chips and salsa. WHEN: June 20, 2011 – July 24, 2011. WHY: Moe’s wants to thank Fayetteville residents for their patronage with great summer deals. WHAT: Moe’s Southwest Grill of Wilmington, NC is offering a free side of queso with the purchase of any entrée, as well as 99 cent kids’ meals throughout its Customer Appreciation Summer promotion. Like always, every meal is served with free chips and salsa. WHERE: Moe’s Southwest Grill: 4401 Oleander Dr. WHEN: June 20, 2011 – End date TBA. 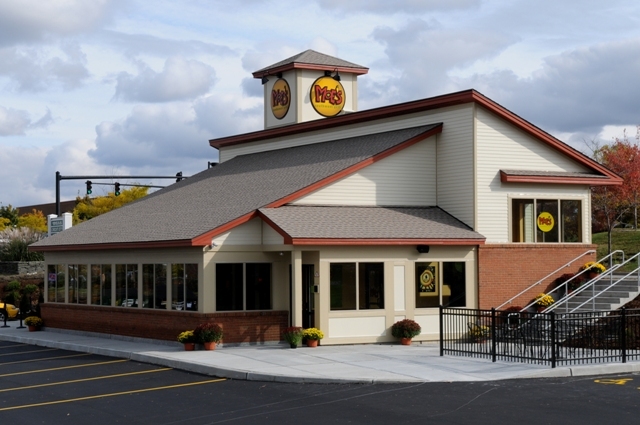 WHY: Moe’s wants to thank Wilmington residents for their patronage with great summer deals. ATLANTA, GA (June 1, 2011) – Moe’s Southwest Grill and BJ’s Wholesale Club have partnered to create a line of retail dips, veggies, appetizers, soups, salsas and salad dressings that will bring the Moe’s experience to consumers in a whole new way. The partnership is Moe’s first foray into licensing and the products are now available for purchase at all 190 BJ’s Wholesale Clubs. All Moe’s licensed products adhere to Moe’s standards for bringing high quality and healthful ingredients to every guest, every day, everywhere. Each of the 17 items features Moe’s brand personality including tongue-in-cheek humor like “PG-13” Medium Salsa and “You Guacing to Me” Chunky Guacamole. The partnership extends the Moe’s brand into a new channel of distribution and gives Moe’s fans the opportunity to ‘Feed the MOEment’ and experience Moe’s products in the comfort of their own homes. “We are delighted to partner with Moe’s Southwest Grill because providing our members with a wide-selection of quality products while staying on top of trends in the marketplace is very important to BJ’s,” says, Jim Pereira, prepared foods and specialty cheese buyer for BJ’s Wholesale Club. “Moe’s mission to bring quality ingredients to their guests translates strongly into their retail offering, and BJ’s is proud to be the first retailer to carry Moe’s Southwest Grill’s fresh prepared products. All products including Moe’s White Bean Dip, Spicy Guacamole Hummus and Five Layer Dip, to name a few, are priced under $10.